Second in a series, The Essential Doctrine and Covenants Companion provides a rich, user-friendly overview of this unique volume of scripture. Between its covers, you'll find a two-page spread for each section in the Doctrine and Covenants that contains a key passage of scripture, a short explanation of the section's central concept, a synopsis of its historical background, and a quick list of its prominent people. In addition, a list of main themes for each section provides a summary of how its teachings apply to us today. Most importantly, key insights in each section highlight its message about Jesus Christ — His character, His Church, His desires, and His kingdom. 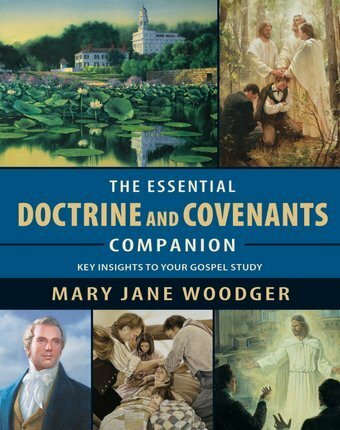 Whether used for individual, family, or classroom study, this enlightening resource is an ideal fellow traveler on your journey through the Doctrine and Covenants.